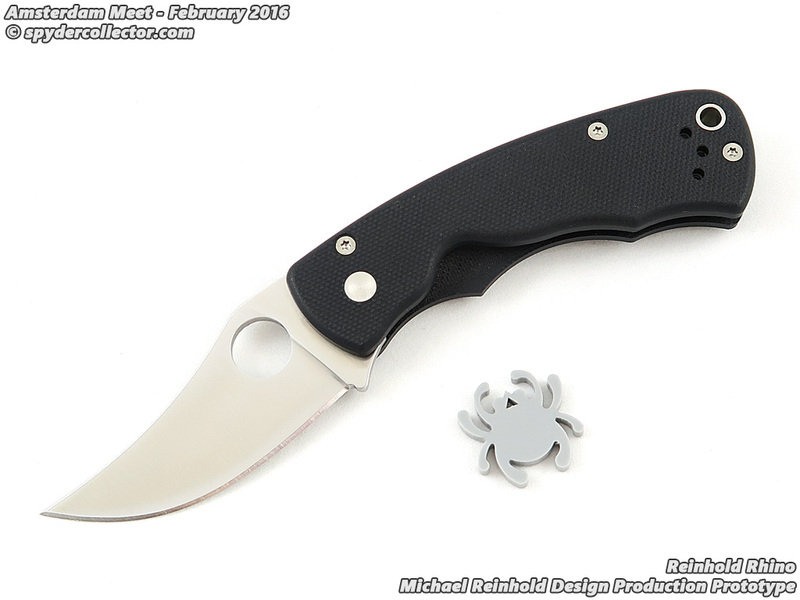 "Spyderco’s award-winning Autonomy literally revolutionized automatic knife design. Developed to meet the demanding mission needs of U.S. Coast Guard rescue swimmers, it features a number of unique engineering advancements, including an oversized firing button, integral button spring, and a patented kick spring module that allows easy spring replacement without disassembling the knife. All these features complement the knife’s highly evolved design and rustproof construction to make it impervious to the elements. The original Autonomy, designed specifically for carry in a dedicated pouch on a rescue swimmer’s vest, featured high-visibility orange G-10 scales, but no button safety or clip. To adapt the knife to the needs of the rest of the tactical community, Spyderco modified its design to include a button safety, reversible wire clip, black G-10 scales, and a non-reflective black coating on all metal parts. Based on popular demand, we are proud to introduce a third version of the Autonomy that walks the line between the first two. Like the original version, it boasts a satin-finished H-1® blade and bright orange handles; however, it also includes a firing button safety and a reversible wire clip to make it suitable for pocket carry. For service personnel who don’t require a tactical black finish on their knives, the new version of the Autonomy is truly the best of both worlds. Automatic knives are a government regulated item so please check all local and federal laws before purchasing from a dealer in your area." I am pretty happy to hear this news because I've been wanting to purchase an original orange Autonomy. (Unfortunately, the original version is for LE/military personnel and is not for sale to the public). I will be looking forward to this one being released. Any thoughts? Have the black Autonomy and am definitely looking forward to this one. Was very happy to see that, like the Coast Guard version, its blade will not be black. Coast Guard version is neat, but I've taken enough spills in my life not to want an auto with a button the size of the Autonomy's in my pocket unless it has a safety. Great news, I just do not like coated blades, even if it's going to be a safe queen. Besides, I need reasons so narrow my collecting. Have you joined Knife Rights yet? That's the Coast Guard version. It's a beauty, and I probably would have grabbed one for my collection if they were more available, but the lack of a safety and a clip makes carry problematic, at least for me. So, for me at least, the new version will incorporate the "best of both worlds", orange scales and "naked" blade from the orange CG version, safety and clip from the all black "civilian" one. The button requires more force to deploy than any other auto I own, I suspect it was engineered this way due to conditions of use and adrenaline rush. I would have no second thoughts with attaching a pocket clip and using this for every day carry. Thanks for the info, guys. I've yet to handle this one, unfortunately, but I am very interested in eventually getting one. Should the Autonomy be made with a more pointed blade tip or not? Scroop wrote: The button requires more force to deploy than any other auto I own, I suspect it was engineered this way due to conditions of use and adrenaline rush. Understand completely. Everyone has a different comfort level. I've fallen hard enough, often enough, in my lifetime to accept that there may be a "next time" and be unwilling to chance landing on an auto with a very prominent firing button and no safety. SpyderEdgeForever wrote: Should the Autonomy be made with a more pointed blade tip or not? Right now it's sort of half way between sheepsfoot and wharncliffe. Grinding it further toward the acute point of a wharncliffe is a fairly easy mod and doesn't cost anything in terms of edge length. OTOH, too acute might not work for some users, and blunting a pointy blade means losing edge length. My first choice for a "different" version of the Autonomy would be a PE uncoated blade. I could live with H-1, but would strongly prefer S30V or S35VN since they're rust resistant enough for my uses and hold an edge better than PE H-1. I suspect they'd also be easier for Spyderco to obtain and work with. I'd be fine with the existing blade shape, for the reasons mentioned above. Black or orange G-10 would be ok, brown G-10 would be even better. The Deacon wrote: My first choice for a "different" version of the Autonomy would be a PE uncoated blade. I could live with H-1, but would strongly prefer S30V or S35VN since they're rust resistant enough for my uses and hold an edge better than PE H-1. I suspect they'd also be easier for Spyderco to obtain and work with. I'd be fine with the existing blade shape, for the reasons mentioned above. Black or orange G-10 would be ok, brown G-10 would be even better. Agreed. How about a nice reverse tanto with a swedge in plain edge Benchmade 940ish...don't care what steel, just want it! Agreed on all points. I'd personally like to see LC200N in FFG and PE and a clip-point profile blade in 3 mm, preferably. I think this is one of the best knives, and best autos made. It would be fantastic to see it in more blade styles and maybe color options. I thought that at one point in the looooong discussion we had about this knife during its development that Sal had mentioned the possibility of other blade shapes but I don't remember that for sure. Daily Carry: Blue CF Domino and well-loved Manix 2 LW. Would love one with a more pointed tip for sure. More blade choices is always a good thing. I know you can always grind on it, and I don't mind a little modding on a Delica, but not on something as expensive as the Autonomy. SpyderNut wrote: I am pretty happy to hear this news because I've been wanting to purchase an original orange Autonomy. (Unfortunately, the original version is for LE/military personnel and is not for sale to the public). I will be looking forward to this one being released. Any thoughts? The new Orange Autonomy has shipped, is starting to show up at dealers, and, for some reason, price is quite a bit less than the black one. Thank you for the heads up on that, Paul! That is some good news. I've been eyeing that Orange Autonomy for quite some time now. I'm amazed that these are already on the market. Another golden surprise from Golden. We're considering other blade shapes. Hi everyone, long time no see. I still buy spydies once in awhile but most of my disposable income goes to things that go bang. I just rcvd my orange autonomy and my dealer asked me how i liked it. This was my response to it. It seems perfectly made for the environment that it is going into. Navy/Coast Guard and as always thank you for your service ladies and gentlemen. The only ting i cold think of adding is maybe some lil holes like the beggining of a drill bit hole around the handle material. Knowing Sal he probably tried a bunch of stuff to make it less resistant to losing the grip of the knife. Im talking about in between changing grips, that sort of thing. It has a great grip once you have it locked in your hand. My guess is in the end he picked the perfect one. The only other thing i could think of and i'm sure they make something like it already is some sort of auto SMALL auto inflation device if it went under water so you don't lose it. I can also see the argument for that being a PITA because people on water are going to get wet. Pipes break in boats, hulls get tears, etc. Maybe if it had a timer for lets say a minute or two because it isn't a cheap knife, but quality never is. I was thinking of those automatic PFDs they have on the boats that are super light and wont open up until submerged. As far as me carring it on duty i have my airbourne ranger fixed blade hooked up to my firecoat and a carry a cheapie stiletto in my pocket and a H1 green USN on my keychain. I like the fact of not having to hit a button to get the knife out on a scene, seconds really do matter. If this seems to ramble on I apologize. Oncei got promoted I finally had my back fusion done L4,L5 and S1. I wonder if they could have put H1 steel in me instead of/ titanium....lol. The drugs are kicking in also so hence the rambling . Take care everyone and i hope you are all dong well. Glad to hear your vertebroplasty went well. Now there's some modern medicine at its finest! Hope you heal quickly. As for the other toys that go "bang," what makes/models do you prefer? I'm a pretty big fan of Sig, but there are a lot of other makes/models that are exceptional too.